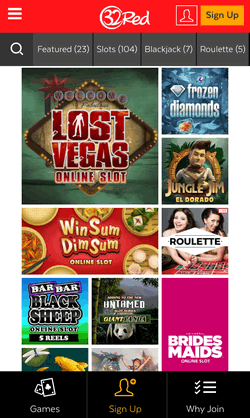 In the years since its launch, Gibraltar-based 32 Red has established itself as a well-known name in the casino world, building a reputation as an award-winning brand that offers a range of games hosted on an interactive site – and it’s these various awards that are what sets 32 Red apart from other online casinos. The casino has won and made the shortlist for 34 awards since 2002, starting with being named Most Reputable Casino in 2003 at the Got2Bet international online casino gambling awards and going on to clinch the title of eGaming Review’s Casino Operator of the Year in 2011. As a player, you can see that these credentials are evident across the site. Rather than being a big, bombastic brand, 32 Red takes care to ensure that the games are straightforward to play and the casino is easy to navigate. From the moment you sign up for the welcome bonus onwards, you find that this is a casino that you instantly feel comfortable with. Dish of the Day is one of the most regular offers available at 32 Red. This is where you opt-in, make a deposit and then you are awarded the bonus for that day. The bonus can then be used to play on any of the games available, from slots to blackjack. There are plenty of other seasonal promotional offers to look out for, but in order to earn big money and reap other benefits, Red Ruby Rewards is the 32 Red loyalty program that can add up to prizes. As you play the different casino games, you earn loyalty points, called Red Rubies. Depending on your choice of casino game, your cumulative stake will be calculated and this will automatically generate the number of rubies you have earned. Bronze – requires 50 Rubies to enter this tier and you need 25 to remain within Bronze.Perks: A birthday bonus of 1,000 Rubies. Silver – requires 1,000 Rubies to enter this tier and you need 500 to remain within Silver. Perks: A birthday bonus of 2,500 Rubies, plus 10% bonus points. Gold – requires 5,000 Rubies to enter this tier and you need 2,500 to remain within Gold. Perks: A birthday bonus of 3,000 Rubies, 20% bonus points, and personalised promotions. Platinum – requires 10,000 Rubies to enter this tier and you need 5,000 to remain within Platinum. Perks: A birthday bonus of 5,000 Rubies, 50% bonus points, and the potential to join Club Rouge. Club Rouge – Invitation only and eligibility is reviewed regularly by 32 Red’s VIP managers. Perks: A birthday bonus of 5,000 Rubies plus an exclusive birthday bonus, up to 200% bonus points, plus enhanced bonuses, promotions and more. All of 32 Red’s casino games are powered by Microgaming, the most established software provider in the industry. This means you are fairly limited in terms of interface and gaming options. That being said, Microgaming has over 20 years’ form and so offers a reliable gaming experience. Ultimately it comes down to whether you prefer something flashy or something more no-nonsense when you play online casino. The live casino is also no frills that will be suitable for you if you prefer a straightforward gaming experience. What they lack in glamour, 32 Red’s live casino games are still among the best. You play against a live dealer, it is easy to navigate, and there are VIP tables should you wish to place higher bids. There are options to play instantly via your browser or to download up to 600 games, comprising a selection of over 300 slots as well as table games, video poker, and jackpots. This downloadable version offers significantly more games than the desktop version, making this the more varied playing option. If you are playing on the go, the games are HTML5-enabled, so almost every feature and game is can be accessed via an app or browser on your mobile or tablet. 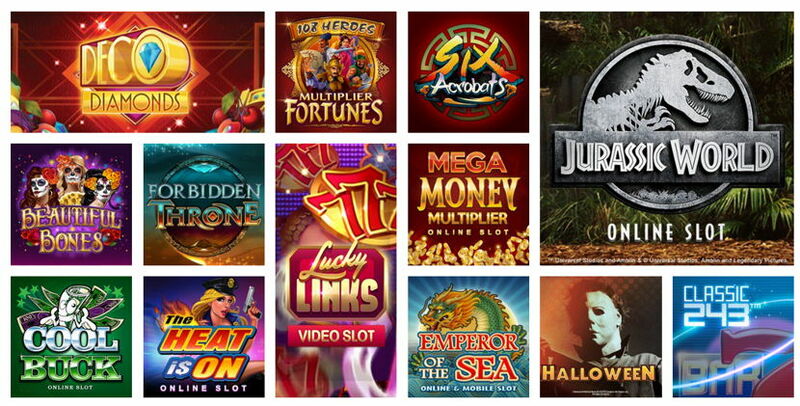 Slots – Choose from 177 titles in this section, including Jurassic World and Highlander. Live Casino – There are 17 live casino games to play against live dealers, from Double Ball Roulette and Caribbean Stud Poker to Ultimate Texas Hold ‘Em and Baccarat Squeeze. Roulette – You will find 10 roulette games at 32 Red, each offering something different. Hop around the continents with European and American Roulette or try Multi Wheel Roulette: Gold Series for something different. Blackjack – Among the 27 blackjack titles available, you can choose from Super Fun 21, High Streak Blackjack or Classic Blackjack. Jackpot Games – If you are playing for the big-hitting jackpot games, take your pick from 15 different games. Prize pots run into the multiple millions, and titles such as Mega Moolah, Treasure Isle, and Fruit Fiesta all pay out for those in search of the jackpot. Tournaments – There are 11 tournament games in total, including the Immortal Romance €25,000 Monthly Monster and the Karate Pig €3K Survivor Q1. High Limit – There are four games to play in this section: High Limit European Blackjack; High Limit Advanced European Blackjack; High Limit European Blackjack: Gold Series; and High Limit European Roulette: Gold Series. These are all aimed at the high rollers. Poker Games – In this section, you will find 21 poker games including Ultimate Texas Hold ‘Em and Aces and Faces Poker. Table Games – Choose from 44 table games that vary from Vegas Strip Blackjack to Red Dog. 32 Red gives you the opportunity to play a demo version of each of these games without having to place any bets first, meaning you get the opportunity to work out your favourite game before staking real cash. At the 32 Red mobile casino, you will find over 160 Microgaming games that have been optimised to work across all Android and iOS devices. So, whether you have a Samsung or iPhone, you will be able to access 32 Red’s mobile games and they will run as smoothly as they do on your desktop site – even when you are playing in a space that has a slower Wi-Fi connection. The mobile options echo the browser-accessed site in that it dispenses with unnecessary extras and places the games centre stage. This means that there is room for the equivalent of almost half of the number of games that are available on the desktop site and titles you can easily access include Mega Moolah and Jurassic Park. Although it may not be the most stylish mobile app out there, its functionality goes beyond the available gaming on the go and stretches to portable banking methods. You can deposit and withdraw from your account while on the move, so you can top up whenever you access the app and you can do this in all of the ways that are available on the desktop site. 32 Red accepts a variety of forms of payment. Below you’ll find a quick-look guide to the main payment options and to find out more about the different terms and conditions, head to the 32 Red website. *Instant withdrawal time is available for a bank wire transfer, but only once your deposit has been credited as cleared funds to the 32 Red account. The minimum amount you can deposit is £10 and the maximum is set at a default £1,000,000. You have full control of your account where you can select your own deposit limits. Withdrawals can take between 2 and 5 working days to reach your account, but if you use an e-Wallet, it is much quicker. Minimum withdrawal is £10 and the maximum is £120,000 a day. If you win a progressive jackpot, you will have an increased withdrawal limit. 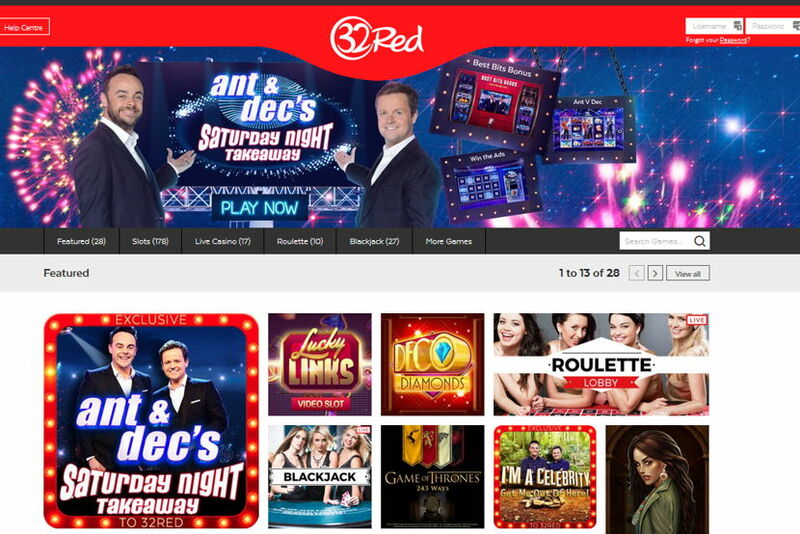 32 Red was established in 2000 by former Ladbrokes managing director, Edward Ware and officially launched in 2002 – making it one of the longest-running online casinos that are still operating today. After seeing record net gaming revenue of £62.3 million in 2016, 32 Red attracted the interest of Kindred Group, the company that started out as Unibet in 1997 and continues to host Unibet as an existing brand today. The casino had been listed on the London Stock Exchange, however upon acquiring 32 Red in June 2017, Kindred announced that it would procure the delisting of 32 Red from the AIM Market of the London Stock Exchange. Over the course of the past 15 years, the casino has carved a reputation for offering a tailor-made gaming experience that places the player at the heart of everything, as demonstrated by the numerous awards won for Best Customer Service and Best Casino Group. 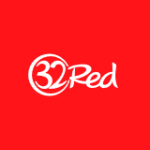 32 Red has a strong customer focus and does away with reams of terms and conditions, instead keeping to the basics and ensuring a level of trust between casino and player. It is this trusting relationship, combined with the use of Microgaming as its software provider, that has resulted in the casino growing into the reputable online casino site that players return to time and again. As already mentioned, customer support is at the heart of what 32 Red does, and it is one of the main areas it has been awarded for over the years. In fact, even founder and CEO Edward Ware has been known to run the customer support lines, highlighting just how down to earth the company is. The customer support team are friendly and offer their expertise without leaving you feeling you have more questions to ask than answers. They are available 24/7 over email, Freephone and local rate numbers, via post (see the address below), as well as instant chat – in fact, when having a conversation via instant chat, it became apparent that the issue would be resolved instantly, which was refreshing given previous experiences with help centres at other online casinos. Before getting in touch in these ways though, it is well worth taking a look at the Help Centre page as this offers a lot of answers to questions you may have. Live chat – this can be accessed once you are logged in. Call – 0808 180 3232 (Freephone), 0203 544 6732 (national rate), 0330 124 3232 (local rate). Customer services address – 32 Red Plc., 741 Europort, Gibraltar. Registered Office – 942 Europort, 4th Floor, Building 9, Gibraltar.